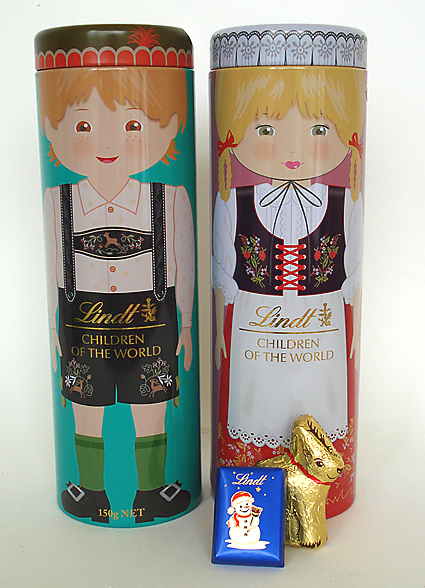 and this year at the height of all things Alpine (I so want a cuckoo clock), they have brought out their “Children of the World” tins. Lederhosen! 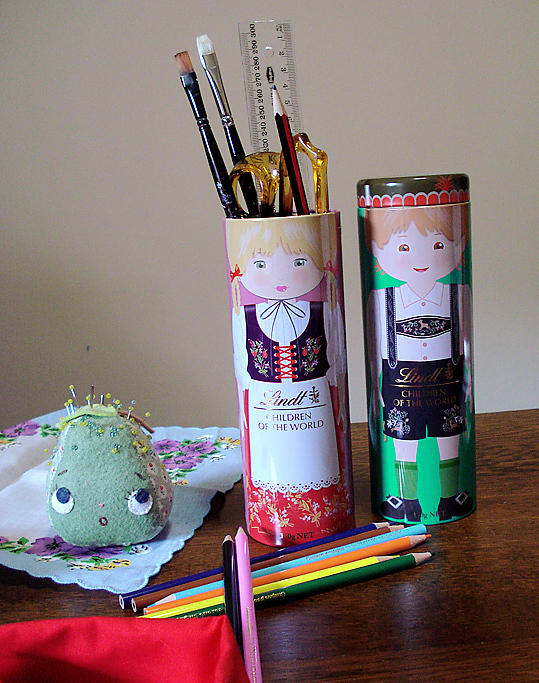 How adorable, look at those little deers on the boys outfit, Id wear that pretty much……………..anyway, I bought them for practical reasons, the perfect pencil/paintbrush holders. There was a lot more of those chocolate reindeer by the way, loads actually………..but I scoffed them in about two days, couldnt even hold off till the pictures were taken. I ate those two remaining ones right after the pictures were done as well. 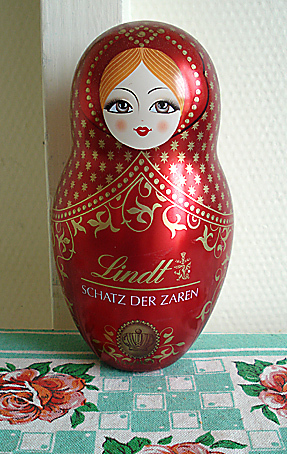 Still, this had nothing to do with chocolate and everything to do with organising my messy work area. This entry was posted on Saturday, November 28th, 2009 at 5:27 am	and is filed under cute stuff, food. You can follow any responses to this entry through the RSS 2.0 feed. You can leave a response, or trackback from your own site. I love your pin cushion! XD so cute! My girls are getting one of those each from Father Christmas! I think they are gorgeous. ooh! I am going to have to keep my eyes out for those tins on this side of the world! I got them at David Jones in the food hall section at Chadstone, Im yet to come across them anywhere else so far, my Mum went looking for them at Myer and couldnt find them.